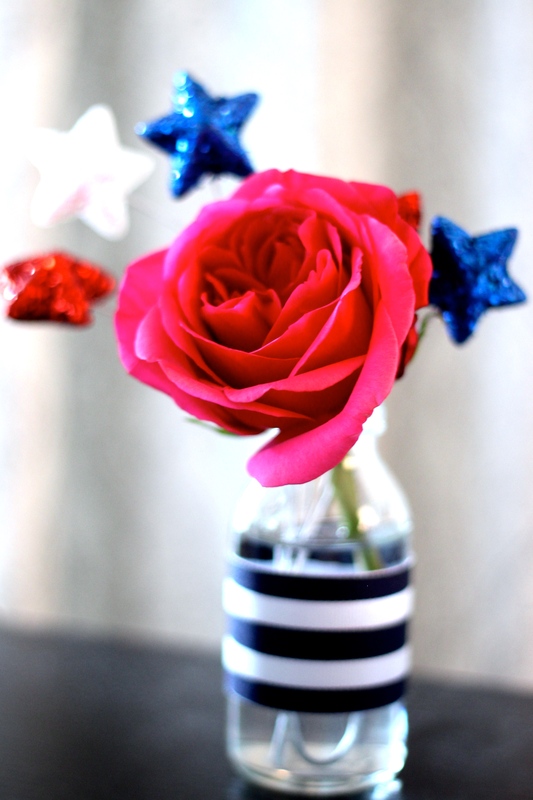 Is anyone else getting into Fourth of July decorating mode?! I’ve been stocking up on little decorations for awhile now without a real plan. My daughter, Taylor, was born on July 4th and will be ONE this year! This year has flown by (way too fast!!!) and I am so excited for her birthday party with our friends and family. We will be attending a wedding out of town the night before and will only have a very short time to set up for her party. 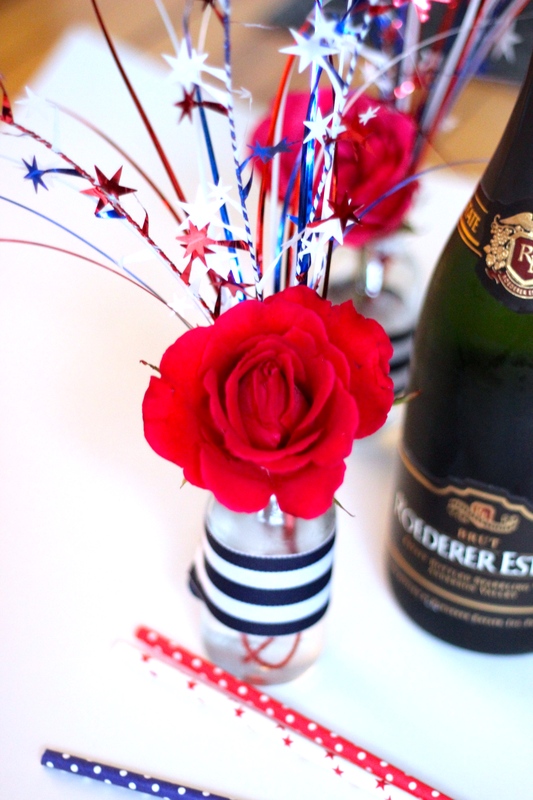 So my party planning strategy is simple, pretty and easy! 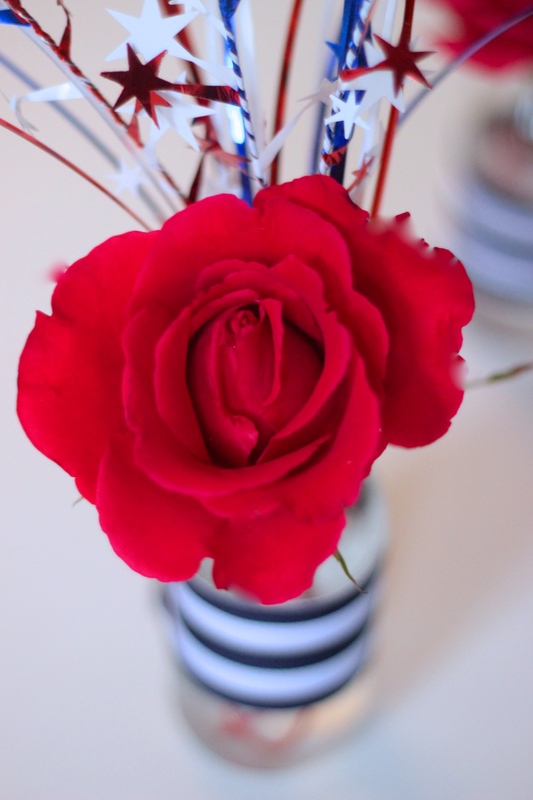 I just decided on a red, white & blue centerpiece for the tables and wanted to give you a sneak peek! I picked up these sprays on sale for $1 after Memorial Day weekend. You can find similar ones at your local craft store or on Amazon. Just fold or cut the wire bottom to fit the size of your bottle. 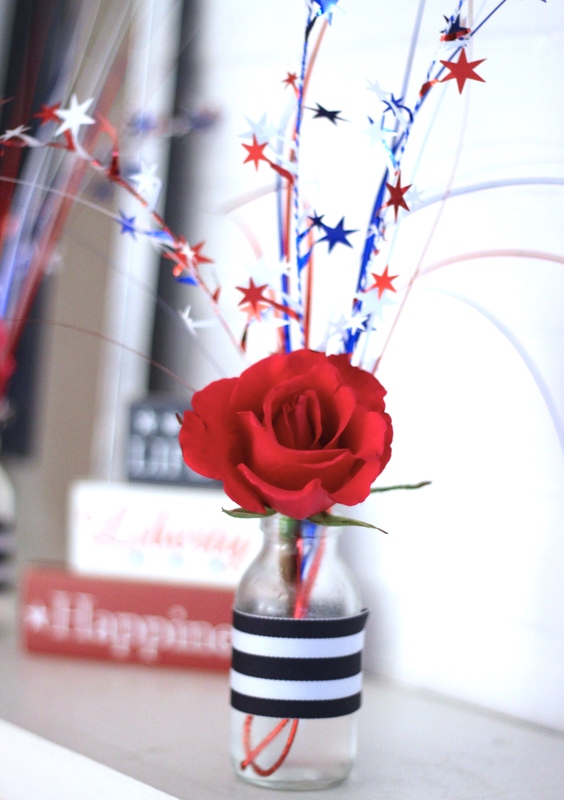 I found these little glass bottles at an antique store but you can use any vase, glass or jar! Blue and white ribbon gives this a little preppy look. Similar ribbon can be found on Etsy. I just wrapped the ribbon around the bottle and used a little piece of clear tape to hold it in place. You could also use a hot glue gun to hold the ribbon together. 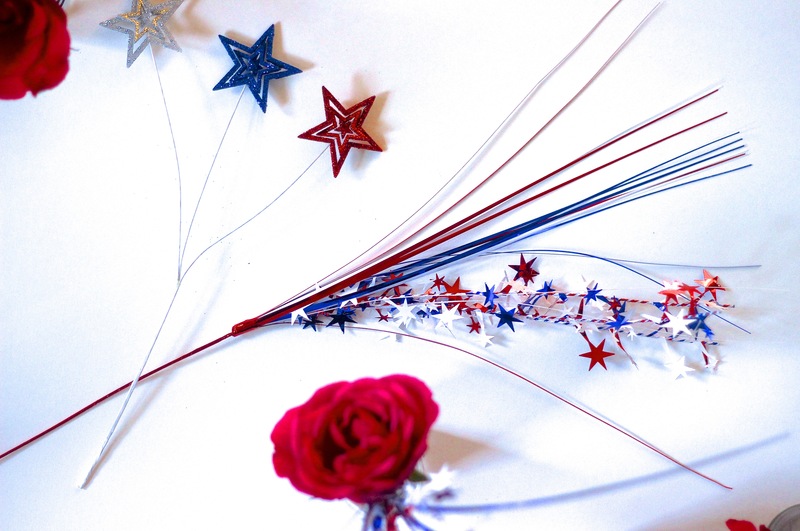 Thanks for reading and hope you have a safe and Happy Fourth of July! Very cute, you can also put the decorations in floral tubes! Happy Birthday to Taylor Rose! Thanks Maribeth! Any ideas for decorations for the tubes? I’d love to hear! More roses, perhaps?